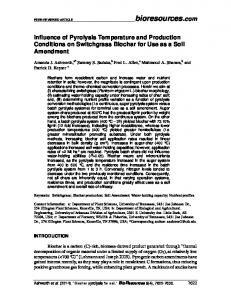 based composites in building construction and other fields, numerous investigations .... situ imaging function produced by Hysitron Company, USA, for which the resolution of ..... Green, D. W., Evans, J. W., Barrett, J. D., and Aplin, E. N. (1988). that of wood. At the cellular level, bamboo is a natural fiber-reinforced composite with bamboo fibers as the reinforcement and parenchyma cells as the matrix. The radial gradient distribution of fibers imparts to bamboo the characteristics of natural functional gradient materials (Parameswaran and Liese 1976; Ray et al. 2005). Therefore, the relationship between the MC and mechanical properties of wood may not be completely transferable to bamboo. In comparison to that of wood, knowledge of the correlation between the MC and mechanical properties of bamboo is rather limited. In an earlier study, Godbole and Lakkad (1986) concluded that water absorption by bamboo caused considerable reduction in the strength and rigidity of the material. 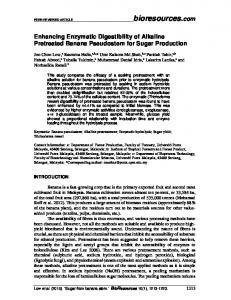 Recently, Jiang et al. 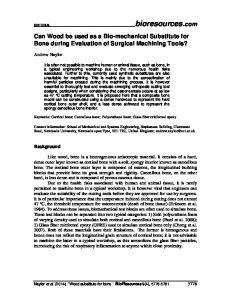 (2012a) found further differences in the ways that the mechanical properties of bamboo exhibited sensitivity to changes in the MC. However, the authors ignored the sensitivity of these mechanical properties to changes in MC at the cellular level, and additional relevant research has not been reported. In the present study, mechanical tests at both the cellular and macroscopic levels were performed on Moso bamboo (Phyllostachys pubescens Mazei ex H. de Lebaie) at different MCs to obtain a better understanding of the manner in which MC affects the longitudinal compressive mechanical properties of bamboo. 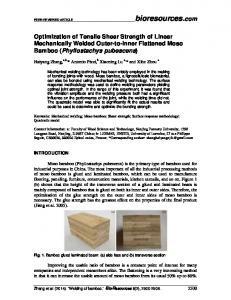 The hardness (HIT) and the elastic modulus (EIT) of bamboo fiber cell walls were determined using nanoindentation. Nanoindentation is a powerful technique used to directly evaluate the mechanical properties of plant cell walls, first used by Wimmer et al. 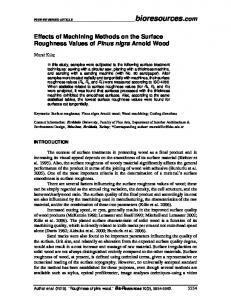 (1997) in the mechanical characterization of wood cell walls. 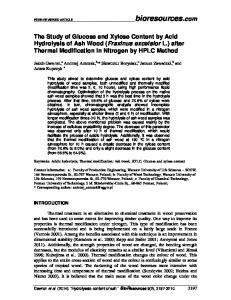 Since then, this technique has found many more applications in the area of wood science and technology, including wood development (Gindl et al. 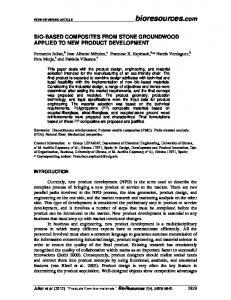 2004), wood fiber composites (Lee et al. 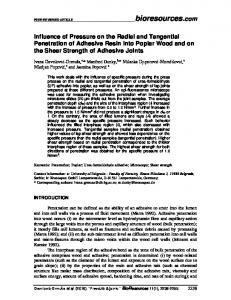 2007), and wood adhesion (Konnerth et al. 2006, 2007). The mechanical testing at the macroscopic level involved the investigation of the compressive modulus of elasticity (CMOE), which is thought to be related to some extent to the cell wall indentation modulus obtained through nanoindentation testing (Yu et al. 2011). the samples was polished with an ultramicrotome equipped with a diamond knife to obtain a very smooth surface for indenting. where Ei and vi are the elastic modulus and Poisson ratio of the tips, respectively (for the diamond tips, Ei was 1141 GPa and vi was 0.07); Er is the reduced elastic modulus; and is a constant ( =10.34 for a Berkovich indenter). The residual indentations in the bamboo fiber cell wall are shown in Fig. 4, from which valid indentations for data analysis could be identified. For instance, the indentation indicated by the arrow in the image was invalid, as it was located too close to the middle lamella. 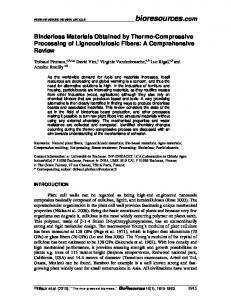 while for the stiffness measurement in both the tensile and bending modes, cellulose undoubtedly dominates the whole process. A strong linear correlation also existed between the HIT of the bamboo fiber cell walls and the MC below the FSP. The hardness decreased by 48% between 604.85 MPa and 316.80 MPa for the same MC range reported for EIT. The K value for HIT reached as high as 3.26%, significantly higher than that of EIT. This indicated that the hardness of the bamboo fiber cell walls was much more sensitive to MC than was the elastic modulus. 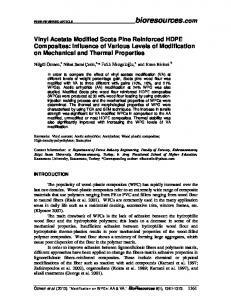 Similar results were also found for Masson Pine cell walls (Yu et al. 2011). The difference in K value between HIT and EIT could be used to explain the response of the longitudinal compression properties of bamboo to the MC at the macro level, as hardness can provide valuable information about longitudinal compression yield stress (FischerCripps 2004). 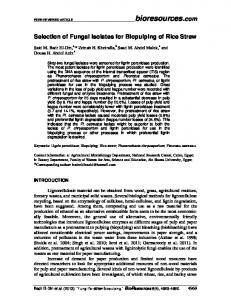 For Moso bamboo, Jiang et al. (2012a) found that the K value for longitudinal compression strength was 3.76%, higher than the K value of 3.0% that was found for the longitudinal compression modulus measured in the present study. Comparison of the Effects of MC on the CMOE and EIT The sensitivities of CMOE and EIT to changes in MC were significantly different in the present study. The K value was 3% for CMOE, while that for EIT was only 2.06%, which meant that the indentation modulus of bamboo fiber cell walls was less sensitive to changes in MC than was the macroscopic compression modulus of bamboo. Different testing principles and the differences in testing scale were to a large extent responsible for the differences in K values. The EIT determined by nanoindentation only reflected the cell wall S2 layers of Moso bamboo fibers, while the CMOE represented an average result for both bamboo fibers and parenchyma cells. 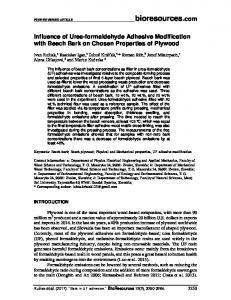 It is therefore hypothesized that the parenchyma cells in bamboo may have exhibited higher sensitivity to changes in MC in compression than did the bamboo fibers due to the much higher microfibrillar angle in the cell parenchyma walls. Additionally, the nanoindentation testing was only for the elastic modulus and hardness of the bamboo cell wall S2 layers and did not test those of the other layers in the bamboo cell walls. Further research on the other layers of bamboo cell walls needs to be conducted; this is presently technically hindered by the surface quality of the samples and the spatial resolution of the present nanoindentation technique. CONCLUSIONS 1. The mechanical dependence of bamboo on MC at the macroscopic level was largely determined by the response of its fiber cell walls to MC, at least for the longitudinal compression. 2. 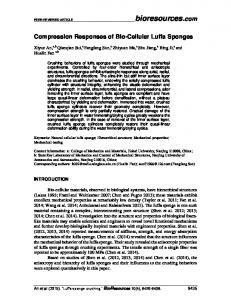 The EIT of the bamboo fiber cell wall was less sensitive to changes in MC than was the CMOE, based on which observation it was hypothesized that the parenchyma cells in bamboo are more sensitive to changes in MC in compression than are bamboo fibers. 3. 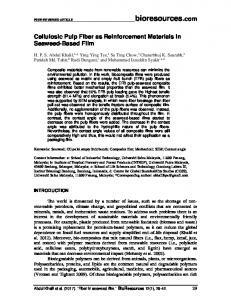 Both the EIT and HIT of the bamboo fiber cell walls showed a highly linear reduction with increasing MC. Meanwhile, the former was much less sensitive to changes in MC than the latter, which may explain the different response of the longitudinal compression modulus and the strength of the bamboo to changes in MC. ACKNOWLEDGEMENTS The authors are grateful to the National Natural and Science Foundation of China (31070491) for financially supporting this research. Parameswaran, N., and Liese, W. (1976). 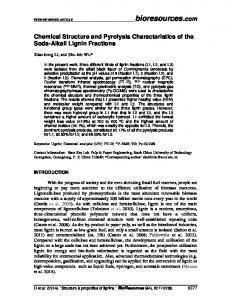 “On the fine structure of bamboo fibers,” Wood Sci. Technol. 10(4), 231-246. Ray, A. K., Mondal, S., Das, S. K., and Ramachandrarao, P. (2005). “Bamboo - A functionally graded composite - Correlation between microstructure and mechanical strength,” J. Mater. Sci. 40(19), 5249-5253. Sakurada, I., Nukushima, Y., and Ito, T. (1962). 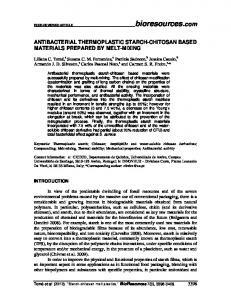 “Experimental determination of the elastic modulus of crystalline regions in oriented polymers,” J. Polym. Sci. 57(165), 651-660. Sudijono, Dwianto, W., Yusuf, S., Iida, I., Furuta, Y., and Minato, K. (2004). 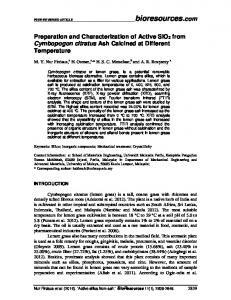 “Characterization of major, unused, and unvalued Indonesian wood species I. Dependencies of mechanical properties in transverse direction on the changes of moisture content and/or temperature,” J. Wood Sci. 50(4), 371-374. 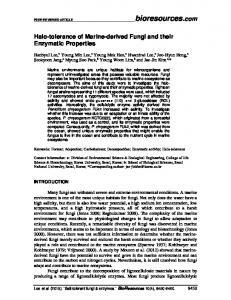 Wang, S. Y., and Wang, H. L. (1999). 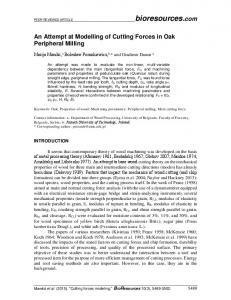 “Effects of moisture content and specific gravity on static bending properties and hardness of six wood species,” J. Wood Sci. 45(2), 127-133. Wang, H., Yu, Y., Yu, Y., and Sun, F. (2010). 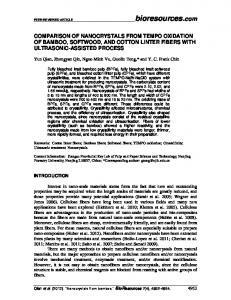 “Variation of the fiber saturation point of bamboo with age,” Journal of Central South University of Forestry and Technology 32(2), 112-115. Wimmer, R., Lucas, B. N., Tsui, T. Y., and Oliver, W. C. (1997). 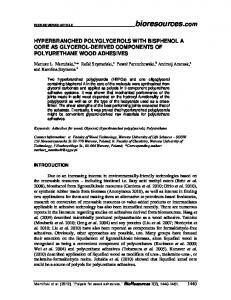 “Longitudinal hardness and Young’s modulus of spruce tracheid secondary walls using nanoindentation technique,” Wood Sci. Technol. 31(2), 131-141. Yu, Y., Fei, B., Wang, H., and Tian, G. (2011). 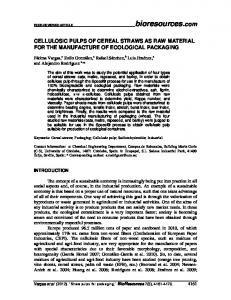 “Longitudinal mechanical properties of cell wall of Masson pine (Pinus massoniana Lamb) as related to moisture content: A nanoindentation study,” Holzforschung 65(1), 121-126. 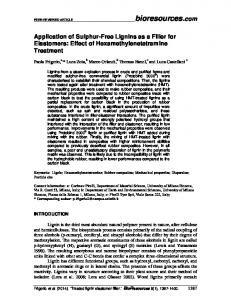 Article submitted: July 29, 2013; Peer review completed: Sept. 9, 2013; Revised version received and accepted: Sept. 10, 2013; Published: September 12, 2013.